After dealing with so many clients over the years as a SEO specialist, you come to realise that many people have little clue about how seo is actually implemented on their websites. Most people think that seo simply involves using tools to spam a website or creating hundreds of pages all over the internet and linking them to your website. Link building definitely plays a large part of the overall seo campaign of a website but the complexity behind implementing seo strategies is being able to find and build quality links, rather than quantity of links. In the SEO industry, the quality of links used to rank clients’ sites is what creates the competitive advantage and if you’re one of our client’s then you’re in good hands. Local Directory Listings – While local directories are a great source of backlinks for your site, there are quite a few low quality, poorly designed and spammed directories out there. The trick is finding the high value directories and getting your business listed, another advantage of local directories is that they are a great source of direct business leads. Press Releases – Getting your site ‘out there’ can be as simple as letting people know that you’ve now entered the online market. There are many high quality press release sites out there, some paid while most are free. Press releases are a great source of high quality and clean links for your site, don’t forget the huge benefit of increased branding and exposure for your business. Guest Posting – No matter what market you’re in, there’s almost always a great demand for high quality content. That’s great news for us SEOs, most popular blogs in your industry will allow guest posts which basically means you write up content that would benefit their readers and in return you’ll get free exposure to your business and many times backlinks! Nice juicing links that Google just loves! Local Citations – While technically citations aren’t considered as backlinks, they are definitely an important factor in Google’s search. The more citations you have mentioned your business address in your local area, the better. How does Google identify a site deserves the top spot? 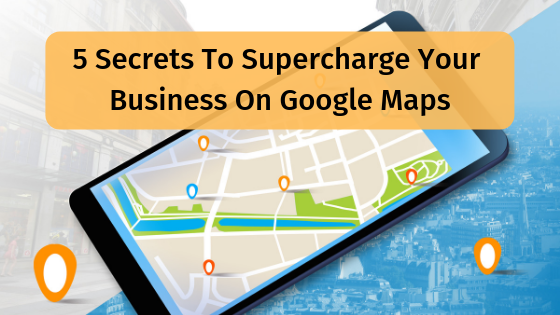 If your business address is mentioned more often in your local area, Google equates this as a signal that you’re a trusted business in your area, thus pushing you higher in rankings for that area. Leverage Local Relationships – There’s nothing Google loves more than that super geo-targeted local backlink. What do I mean? If you’re trying to rank for a service in Melbourne then you’ll want to get as many backlinks as you can from businesses in Melbourne. If you have local business partnerships or even something as simple as sponsoring the local soccer club then request a backlink from these relationships, they’re some of the most exclusive and powerful links that you can obtain. The link building tactics you’ve read above are some of the most effective meanings of obtaining high quality links to your website. I hope that now you have a little better idea of how links are actually built to your business, but keep in mind, this article covers the link building part of seo but a complete seo strategy includes a lot more than merely building links.